19th January, 2017, Dublin, Ireland: Irish cloud communications software firm, Goldfish, has continued to expand its customers in The Philippines with the signing up of international outsourcing company Talk BPO (Ireland) Ltd. The deal marks a further increase of Goldfish’s services to customers in The Philippines, where it has been operating for over three years. The company now supplies its telecoms services to almost 400 users based in Metro Manila and Cebu. Goldfish has recently appointed two new Philippines-based staff and recently deployed a new data centre in Singapore. 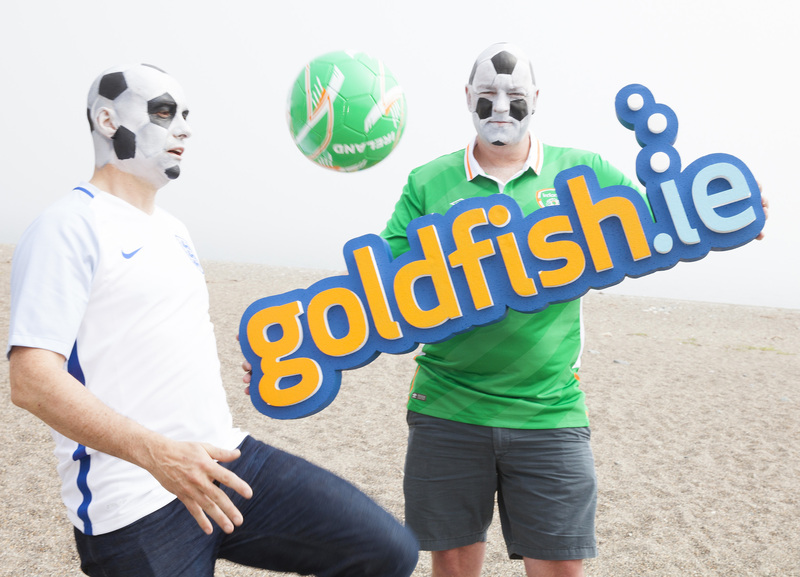 Team rivalries were temporarily put aside as Gordon O’Neill CEO (Ireland), and Simon Palmer, Marketing Manager (England), from Goldfish.ie donned their team’s national colours and had their heads painstakingly painted as footballs, to launch the Green Glory Euro 2016 competition on Greystones Beach. 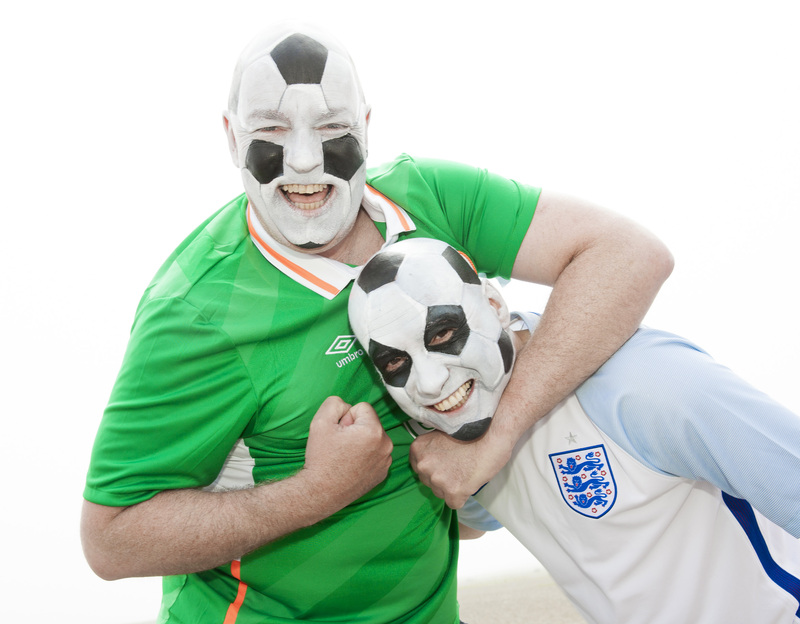 Euro 2016 is finally here and to celebrate Ireland’s bid for glory we are urging our customers to cheer on the boys in green. What better way to enjoy the football than combining the excitement of the tournament with winning benefits for your business. ….it’s pretty simple, really. Find out more information below to see how you could be one of our lucky winners. 7th May, 2014; Dublin, Ireland: Wicklow-based cloud telecoms firm Goldfish.ie is looking forward to another successful year after being appointed by both Feed Henry, the app development company, and also the Digital Marketing Institute in Dublin (see below). The company continues to operate within the buoyant business-VoiP sector as more organisations move to cloud-based technology for their telephones. With clients increasing by 40% in 2013, leading to a 77% boost in revenue, Goldfish.ie has grown consistently each year since the firm was founded in 2010. 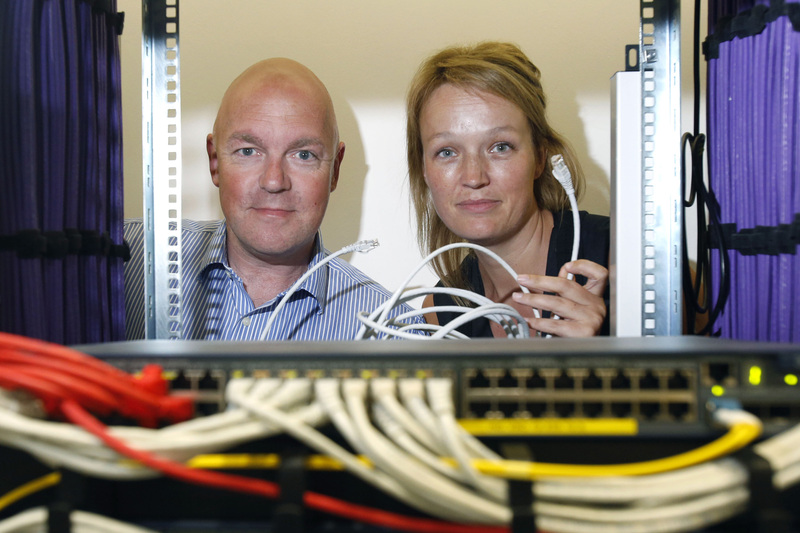 8th July, 2013; Dublin, Ireland: Wicklow-based firm Goldfish.ie has been signed up to provide telecoms services to eight starts-ups located at the Nexus Innovation Centre, at the University of Limerick. Goldfish.ie provides instant access to cloud-based telecommunications for business customers, with additional services not available from traditional telecoms suppliers.